Helen started her interpreting career almost 25 years ago at RNID (now Action on Hearing Loss) and has interpreted in a wide range of community settings. Qualifying in 1996, she has been a Senior Interpreter and a Communication Development Officer and line managed other interpreters, coaching them to qualification. Helen is a qualified assessor and verifier for vocational qualifications and, with colleagues, developed and delivered an interpreter training programme for Action on Hearing Loss. 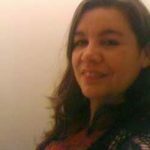 Currently working for SignVideo as an Interpreter Supervisor and Trainer, Helen is responsible for training staff and freelance interpreters working in Video Relay Services. Helen has delivered Video Remote Interpreting training on behalf of EFSLI and ANIOS and is a Member of the Chartered Management Institute.